Best Buy Co Inc (BBY) Shares Sold by Sumitomo Life Insurance Co.
American Tower Corp (AMT) Position Lowered by Sumitomo Life Insurance Co.
iShares iBoxx $ High Yield Corporate Bond ETF (HYG) Stake Decreased by Deroy & Devereaux Private Investment Counsel Inc. Global X SuperDividend ETF (SDIV) Holdings Raised by Eqis Capital Management Inc.
Pfizer has received a lot of pushback over its proposed deal to buy Allergan for $152 billion. The merger itself is not the problem, but what the company plans to do after the merger is complete. 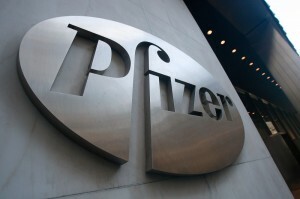 Pfizer has revealed plans to move its corporate headquarters to Ireland in order to reduce its tax bill in the United States in a move called a corporate inversion. The merger was announced on Monday. Corporate inversions happen when an American company buys a company in a country with lower corporate taxes to reduce its tax obligation. It has sparked a fierce debate over whether deals like this are ultimately good for the United States. The merger between Allergan and Pfizer would be the biggest merger in the last 15 years. Pfizer, founded by German immigrants in Brooklyn in 1849, is currently the largest drug maker in the nation. Pfizer would be the biggest American company to shed its American citizenship to lower its taxes. Pfizer has been upfront about its intentions to use the merger as a way to compete with huge foreign rivals that enjoy much lower tax rates. The drug maker has complained that its tax rate last year was 26 percent. For comparison, Allergan’s predecessor company paid approximately 5 percent during that same time. GlaxoSmithKline, AstraZeneca, and Novartis also pay substantially less in taxes. The chief executive of Pfizer Ian C. Read has been making phone calls to Washington lawmakers and Obama administration officials seeking support for the deal. Read said that the corporate inversion would actually be good for the United States by giving the company more cash to add jobs and invest in the United States. The two companies and their advisers are betting that the Treasury Department and Congress will not be able to change the rules fast enough to block the deal. Sumitomo Life Insurance Co. Cuts Stake in Norfolk Southern Corp.
Best Buy Co Inc Shares Sold by Sumitomo Life Insurance Co.